This summer got a bit stressful for our family when we discovered that a sump pump failure had to led to seepage into our basement – and we started seeing little spots of mold in between the laminate boards. This meant we had to gut everything out of our developed basement, get rid of the mold and start from scratch. So I started doing some research into what we should use to redevelop. I decided I wanted to seal and paint the concrete instead of installing flooring on top. Because we had to cut a bunch of drywall out, I knew we’d need to paint as well. And I knew I wanted to ensure that any paint we used would be toxin-free. 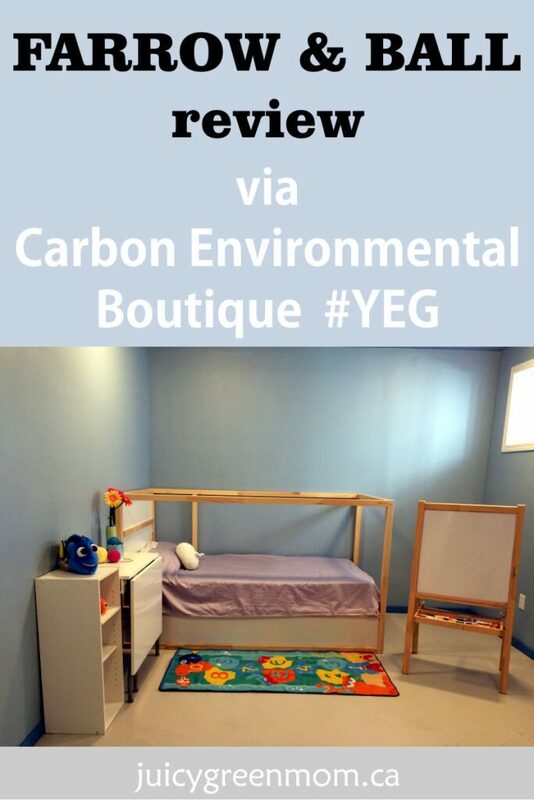 Conventional paint is full of VOCs (volatile organic compounds) that are known carcinogens. VOCs release into the air as you paint, and can continue to release even years after the paint is dry. If you’ve ever gotten a headache after painting, you can bet the VOCs are responsible. 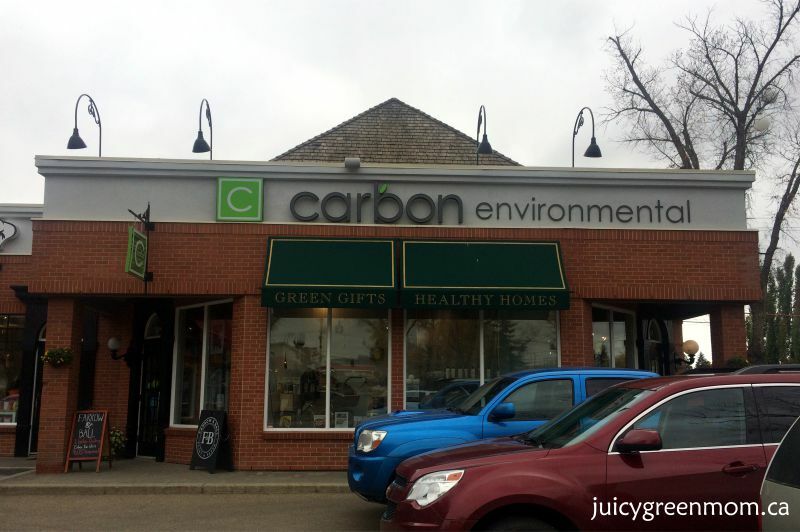 I went to Carbon Environmental Boutique, which is THE place in Edmonton to look for toxin-free products for your home. They carry the Farrow & Ball line of eco friendly paints and paper. Farrow & Ball has a huge range of water-based interior and exterior eco friendly paints with zero or minimal VOCs. Because they’re water-based, brushes and rollers can easily be washed with soapy water instead of chemical laden solvents. Added bonus, 50% of their packaging is made with recycled materials and FSC accredited paper. Everyone at Carbon was super friendly and helpful. They were always willing to answer questions (in a very timely manner), and helped us figure out how much primer and paint we would need. They were patient when we were stalled and needing to make decisions, and they checked in with us to make sure we were happy with how things were progressing. Honestly, they provided AMAZING customer service, and I am so proud to have Carbon in my hometown! 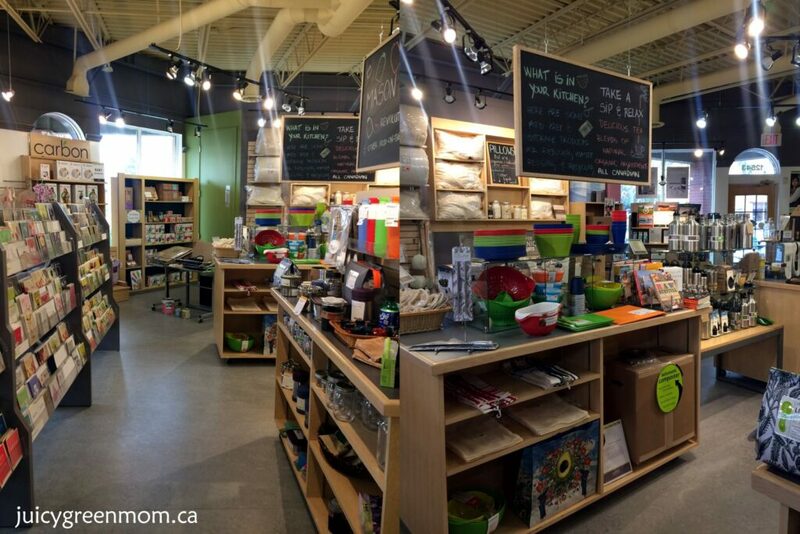 It will continue to be my go-to for anything eco friendly I need for our home! So how did I like the products? The primers definitely had more of a smell than the paints did (as my daughter informed me when she said “what’s that stinky smell?”) but I never had any adverse reaction to them the way I have in the past. Neither did my husband. We both found that the primers and paints were very easy to spread, and went onto surfaces nicely. These products are absolutely comparable to any mainstream paint, without the nasty side effects. 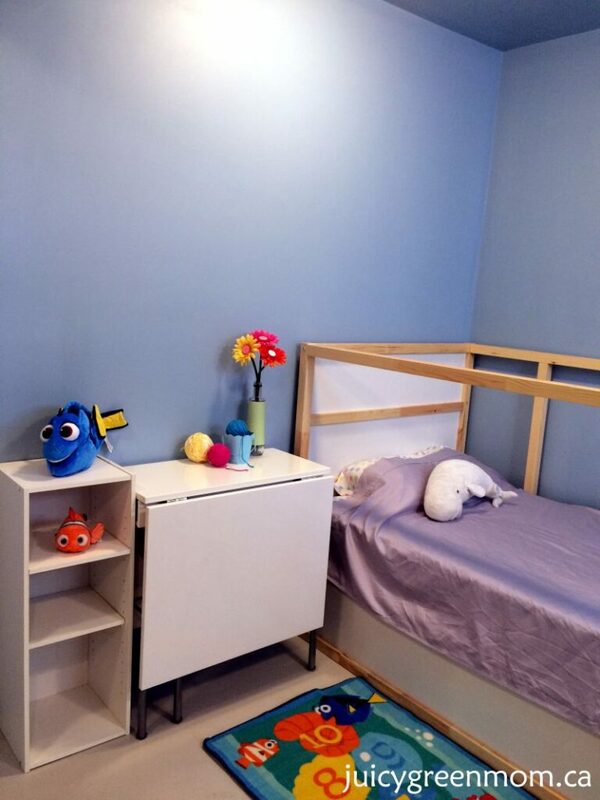 It was recommended that we do 1 coat of primer, and 2 coats of wall/ceiling paint on the walls and ceilings, or 2 coats of floor paint. We didn’t need to paint any doors, but this video is a great demonstration of how nicely their products go on! For the concrete floor: We used the Masonry & Plaster Stabilising Primer for our unfinished concrete floor, which dries clear. Then we used 2 coats of Floor Paint in Purbeck Stone. For the walls/ceilings/trim: We used the Wall & Ceiling Primer & Undercoat for dark tones (so it goes on dark grey). Then we used 2 coats of the wall paint in Lulworth Blue, in the Modern Emulsion finish. We used the Estate Eggshell finish in Cook’s Blue for our trim. So how does our basement look? I am thrilled with the finished product of our paint! The gutted concrete unfinished look has been completely transformed into a fun playroom for our daughter. I really like the way the Lulworth Blue of the walls and ceiling contrasts with the Purbeck Stone of the floor. Are you ready to try Farrow & Ball paint? 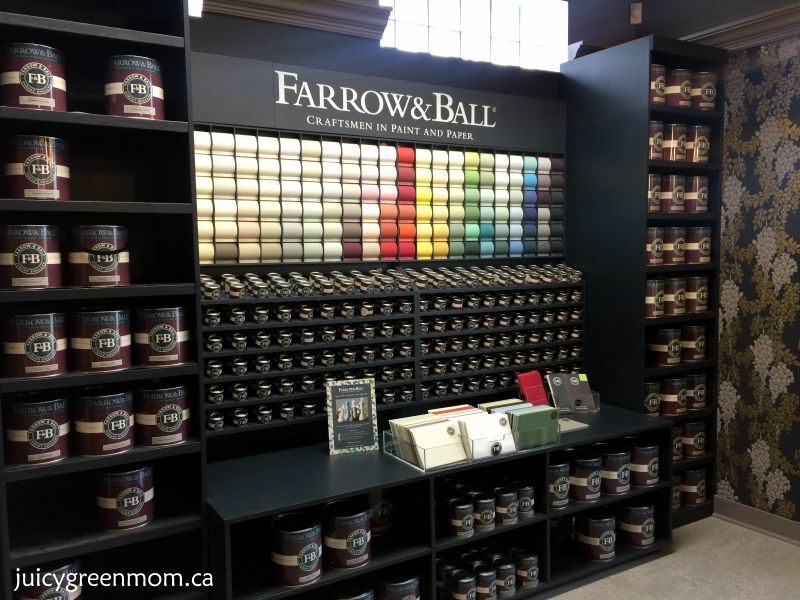 Carbon is so confident about the quality of Farrow & Ball paints that they have a One Gallon Challenge – just try one gallon and they guarantee you’ll fall in love forever! Plus, Farrow & Ball’s colour selection is amazing and very carefully curated. I am contemplating the possibility of using some accent wallpaper – which Farrow & Ball makes as well. Here’s a cool video on how Farrow & Ball makes their wallpaper (not the conventional way!). I will definitely be returning to Carbon for future renovation options, as they offer many other products other than paint! What are you using in your next renovation project?